New Delhi, 10th October 2014 : Vicky Ratnani, chef consultant, Godrej Tyson Foods Ltd., enthralled foodies in Delhi in a unique cook-along brunch prepared with delectable ready-to-cook delights. Brunch is considered to have it roots in England. Originated in the late 1800s, served in buffet style, the tradition appears to have become popular in the United States in the 1930s. When you think of brunch, you usually conjure visuals of salads, grilled meat, cold cuts, veggies and bite-sized delicacies which is light and yet wholesome. A fan of molecular gastronomy, Vicky gave useful hints on how to rustle up easy and yet lip-smacking brunch at home utilizing herbs and spices to bring out the best taste to suit individual palate. Today, preparations for a brunch, especially at home, is made easy and simple. All one needs is some Ready-to-Cook (RTC) products. A wide variety of products are easily available with the neighborhood kirana store or supermarket. The benefit of using RTC products is that they cut significant kitchen time and yet allows you to create great tasting food. Vicky showcased three recipes – Meat Ball Slider, Aloo Tikki And Rajma Pineapple Chaat, and Chicken Mushroom Penne. 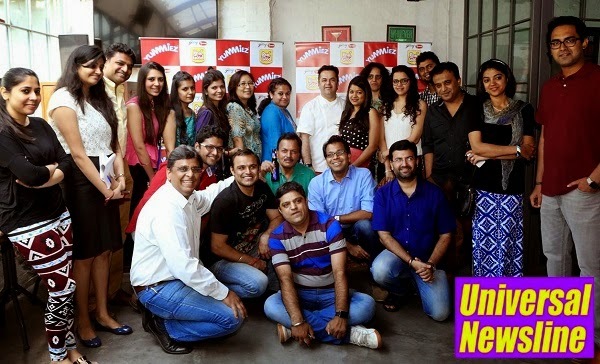 Foodies in the city donned the apron to learn and cook along with Vicky with some of the newly launched Godrej Real Good Yummiez Chicken Meat Balls, Aloo Tikki and Chicken Kheema. They created their own signature recipes in a short time. Speaking about the brunch, Vicky Ratnani, chef consultant, Godrej Tyson Foods Ltd. said, “A brunch with Ready-to-cook products are perfect weekend solutions for urban foodies who lead a busy lifestyle and crave for spending time with friends and family. It allows them to experiment with food and at the same time enjoy a great weekend with restaurant style meal at home. Godrej Tyson has a wide range of vegetarian and chicken products that helps even novices to show off their culinary skills.